These handsome linen pocket squares with wood buttons come via Rye 51 of Dallas, Texas. In their online shop, you'll find over two dozen choices, many of which perfectly complement the darker, earthier colors and textures we see this fall. This bright blue check linen square and plaid linen square have my heart. A little boldness with a classic and cool pattern goes a long way... See all of Rye 51's pocket square options, here. College football season begins in less than a month and in the South, that equates to the unified emergence of millions of frenzied, loyal fans. So I liked the fact that one southern company got in on the fun by producing college themed shave kits. Michael Reese, Mark Giambrone and Craig Carter launched Jack Mason in Dallas, Texas in March of 2014. They saw a need for stylishly made, college themed goods offered at a good pricepoint and together, they filled that need. The shave kits range in price from $85- $135. Each bag is made with full grain leather and lined with durable water resistant coated canvas. The boys offer a gridiron shave kit version as well, featuring a team logo, brass rivet detailing, plus a metal frame opening for more room and quick access. 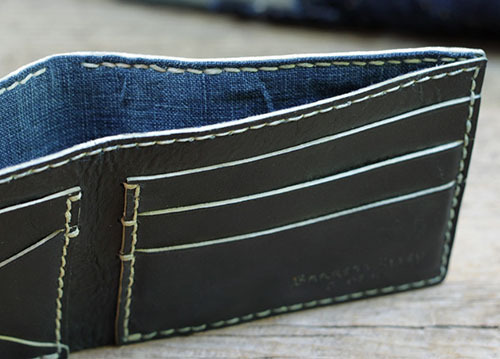 If you'd like to see even more offerings via Jack Mason, check out their online shop to find college themed messenger bags, belts, watches and wallets. Nosheen combines thread, paint, wood veneers and bamboo to create some truly stunning pieces of art that she sells from $80 and up. Much of her work is commissioned based or found at local Dallas shops and events. Nosheen found much inspiration in her childhood as both her mother and grandmother had impressive textile and thread collections and taught her how to sew at a young age. Nosheen experimented with using wood and thread and slowly she found her own niche in the market, now designing under the name, Noshii. This beauty was an installation piece Nosheen did for the Hermes window in the Highland Park Village of Dallas. What I love too is her transition from panels to jewelry as she also crafts rings and bangles with wood and thread. Nosheen is currently sold out of these in her Etsy shop but I'd keep a close eye on the shop, or contact her here for more info. I think these cookies are a perfect treat for Oscar night on Sunday. Make 'em for yourself or pack 'em up in a brown box and bring along to a friend's house. They'll be devoured in no time. Find the scrumptious recipe here, and enjoy the weekend everyone! Above is one of her lovely handmade iPad cases in gray and green wool plaid. Each case offered (she has over 20 iPad covers to choose from) is lined with a sturdy canvas and rivet reinforced straps with snap enclosures. Yesterday, my friend Bradley sent me a link to a Dallas based artist he thought I may like. His name is David Anthony Harman and along with having a great eye for design, he makes maps. Of course I like him. David is a Dallas, Texas native and loves his home city through and through. And since love and passion go hand in hand, David decided to take his lifelong knowledge of the city and create a map of all the neighborhoods (over 160) that are 'intown' or located within the squiggly square known as Loop 12. David, "I made this map for all those folks out there who love this city as much as I do." Learn more about David's screen-printed, Dallas Neighborhood Map, offered in six different color combos, here. I like the idea of embracing some bold color this summer. And one of the easiest ways for a manly man to do so is with a pair of flip flops from Hari Mari. Based in Dallas, Texas, the Hari Mari flops deliver on both style and comfort. The straps are made with dual colors and even if you opt for the more subdued gray, you can get a bright orange stripe along the bottom. I love that. All Hari Mari flops are made with recycled rubber and foam and the toe posts, which are made from memory foam, are super cozy and easy to break in. So, these flops are made well and they're made responsibly. Even better- if you send in your old flip flops, no matter the brand, they will recycle them to keep them out of landfills. Plus you get 15% off a new pair of Hari Mari flip flops. Done. And done. I love the idea of some colorful, durable flops this summer as I wear my standard black flops until they are practically falling apart. These are built to last, plus they provide your feet with some fun for once. Peruse the entire Hari Mari shop here. At Official Design in Dallas, Texas, you'll find thoughtful, high quality furniture. This is the Peanut Rocker, inspired by the traditional rocker, but given a modern twist. As stated on their site, "We worked the steel by hand, from the milling of the runner connections to the welding of the upper frame. We sculpted the walnut seat and runners with a CNC router." Simple screws and bolts were the finishing touch. Mark Leveno, a graduate of SCAD, is the furniture and architectural designer at Official. I particularly like his Mango Bench made of mango wood and steel and inspired by a three dimensional line drawing of a cube. This is the Yeti. With a cushion made of wool, it is referred to as the "softer, more tactile cousin of the Mango bench." The Yeti was featured in the Milan Furniture Fair of 2012. The Droid Stool was also exhibited in Milan. See the process of its creation here. The nice thing about Chiefs Face Wash is that there are no dyes, fragrances, caffeine, exfolients or paraben. As Will states, "We use natural ginseng, menthol, peppermint and eucalyptus that packs an aromatic punch and will make you feel fresh and alert." The more you delve into design, the more it finds its way into every part of your life. So it makes sense that if you're going to seal a package, why do it with boring brown tape when you can do it with pretty pink polka dots? Glenda of the Etsy shop, Pretty Tape in Dallas, Texas, has procured hundreds of pretty ways for us to package our goods or beautify our crafty creations. Glenda shares, "My shop is a collection of things that I chose because they are either visually appealing or useful. Most are both. Quality is important to me too and I want the shop to be known as a quality shop with pretty things." Glenda has over 100 washi tapes available in her shop. Washi tape comes via Japan and is a paper tape that you'll see branded in all types of pretty colors and patterns. The tape is often translucent and comes in widths from 1/4"- 2 1/2". The top two washi tapes of this sequence are some of Glenda's favorites; Poppy and Little Garden. DIY projects are at an all time high and it follows suit that branding and packaging all these newly handcrafted goods has become more popular...and necessary. Find the paper bags here and here, and the stamps, which are a perfect way to leave your mark on a handmade gift, here.